The condos at Napili Point is located just north of Kahana on the ocean in West Maui. Relax at one of two ocean front swimming pools and a BBQ area in the evening while enjoying a gorgeous Maui sunset. Our one bedroom ocean front condo is fully equipped complete with full sized appliances, cable TV and washer dryer. Each condo also has free wired high-speed internet access in each unit. The condos all have ceiling fans but are not air conditioned. Napili gets a wonderful ocean breeze. 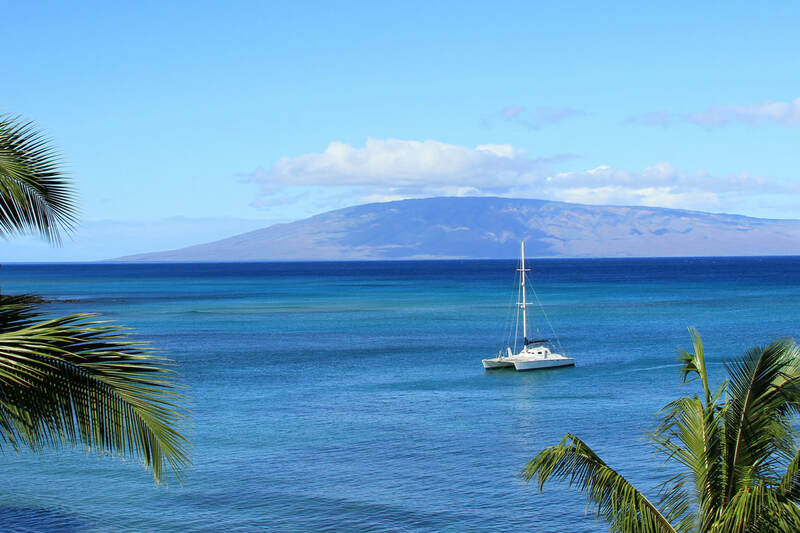 Plenty of shopping and dining choices are just a short drive away at Kapalua, Whaler's Village and Lahaina. Ocean front Condo in Napili! You'll find the ocean front view looking towards Honokeana Cove in Napili exquisite. When you're not enjoying the view and sunny weather on your private ground floor lanai, or out exploring nearby Napili Bay, be entertained on the flat screen TV with DVD player in the ceiling fan cooled living room. The entire condo has been remodeled with granite throughout the kitchen and bath and all tile floors keep the condo cool and crisp feeling. 4 guests maximum please.